kyler is using Smore newsletters to spread the word online. 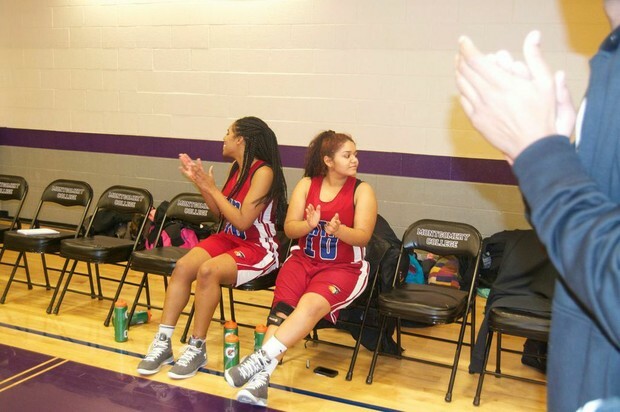 The senior class of 2014-2015 Washington Latin PCS girls held their 3rd senior night at Montgomery College (Takoma Park Campus) January 30th 2015. 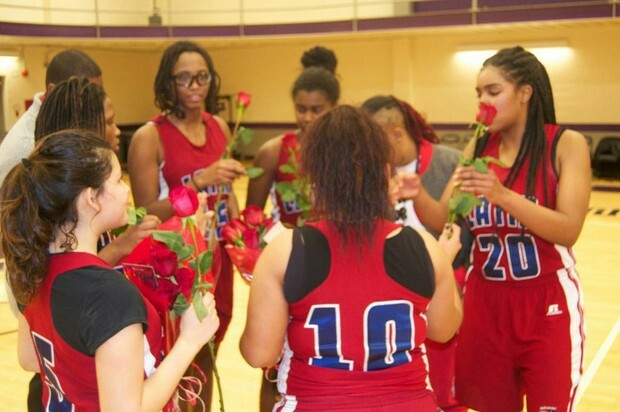 Lady Lions half-time senior recognition. 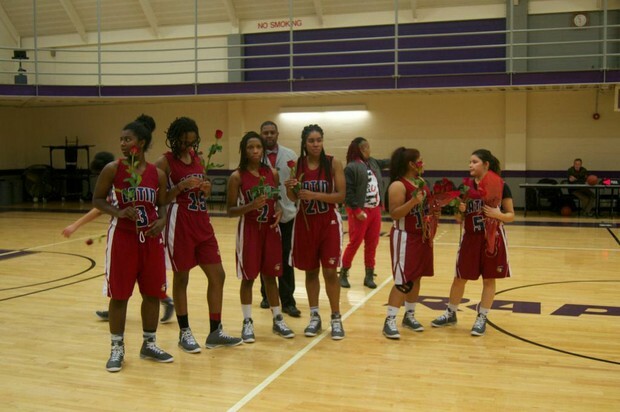 They are picking the roses to hand out to their parents for supporting them throughout the season. Eleanor Elias (senior) smiling for the camera while her other teammates are talking to the Coach and picking roses to hand out to their parents. 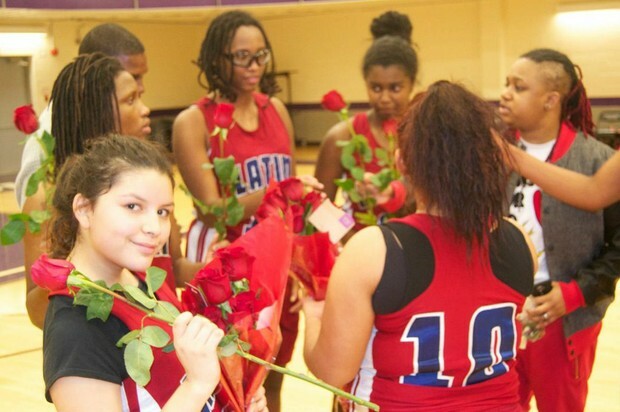 Kyle Cook (left/ captain) and Briana Hernandez (right/ co-captain) supporting other teammate Eleanor Elias as they patiently wait for their names to be called to go through the tunnel and receive their flowers. The girls as they try to get ready for a group picture. 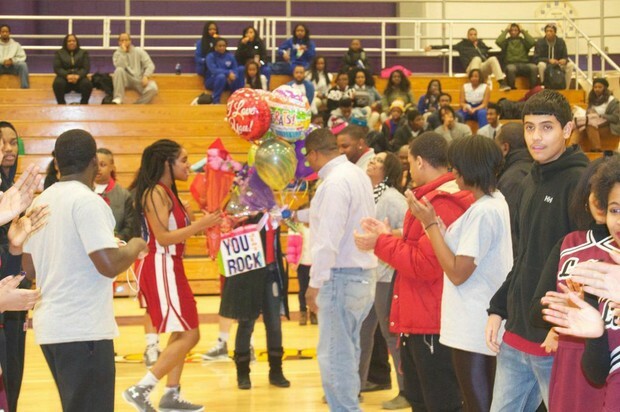 Kyler Cook receiving her flowers from her parents along with other gifts.